The OpenFileDialog component allows users to browse the folders of their computer or any computer on the network and select one or more files to open. 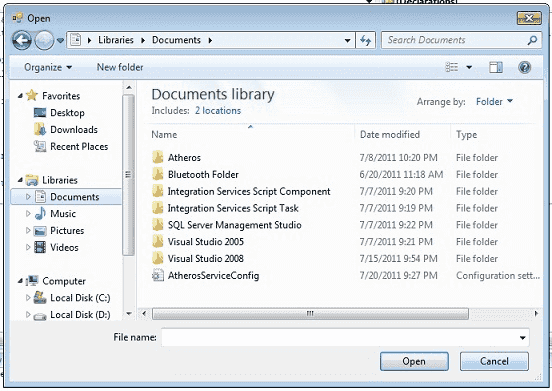 The dialog box returns the path and name of the file the user selected in the dialog box. The FileName property can be set prior to showing the dialog box. This causes the dialog box to initially display the given filename. In most cases, your applications should set the InitialDirectory, Filter, and FilterIndex properties prior to calling ShowDialog. The following C# program invites an OpenFile Dialog Box and retrieve the selected filename to a string.